I found a few photos that I took during the past couple of weeks. They don’t individually create the need to produce a post on our blog. Together, they barely culminate the need, but I figured, “What the heck, it’s Friday”. Here’s a picture I took early one morning just before work. 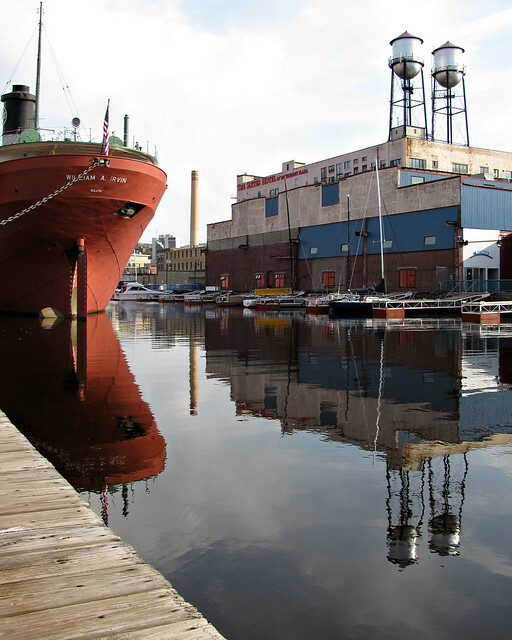 I grabbed my company’s Canon point-and-shoot to get a photo of a pair of geese walking along the boardwalk next to the William A. Irvin in Canal Park. Unfortunately, the geese didn’t make the cut as I liked this photo better. A month ago my brother was at our house inspecting our garden and trees in the backyard, offering some tips and advice. We heard a number of different birds singing. He said, “Did you hear that? That was a cardinal”. 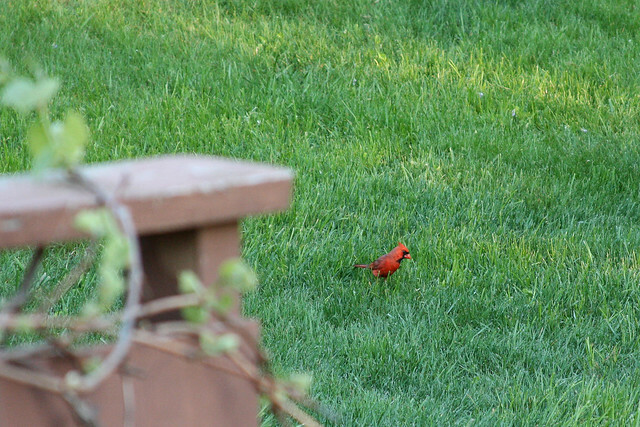 First off, I’m not sure why he knows what a cardinal sounds like and secondly, we don’t have nesting cardinals in Duluth. Well, at least I didn’t think we did…until Sebastian and I saw this guy last week. 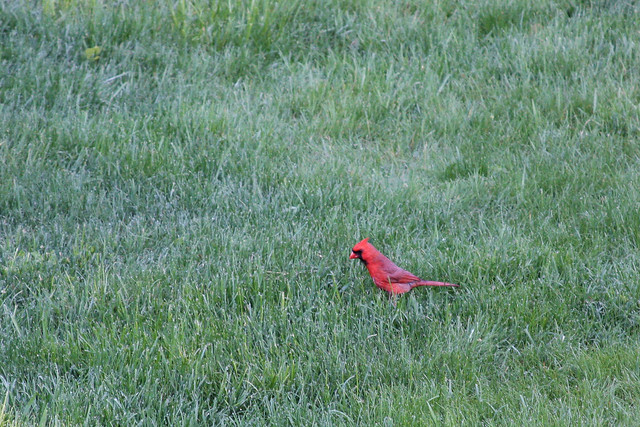 I have to admit, it was pretty cool to see him in the sea of green grass on my lawn. We have spotted him four times now and we also saw his lady friend. We are fairly certain he and the Mrs. have a little family somewhere in our trees (or our neighbor’s). I would love to see the kids, but so far we haven’t located the nest. Guess who was back in the garden? Seriously? Too bad we spoiled his fun by planting the garden and putting up a fence around it last Saturday. I’m hopeful that he’s too lazy to dig underneath. 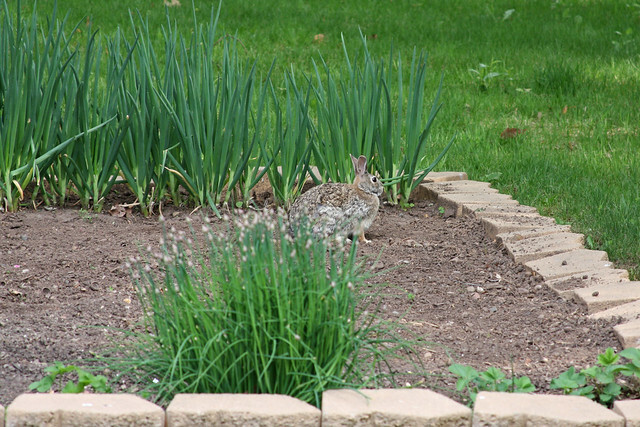 There are plenty of other delicious things growing in the yard and in my flower bed to go through all that work. 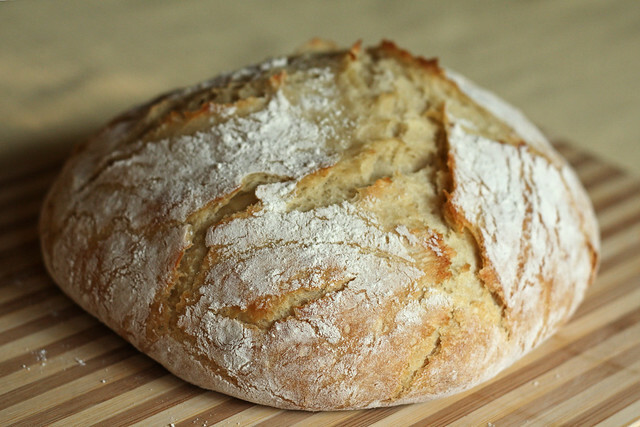 I baked bread last Sunday. Not like my Mom’s awesome bread that you want to slather with butter and homemade jam, but a more European loaf that is good with olive oil, balsamic vinegar and fresh cracked pepper. I made it to pair up with homemade broccoli cheese soup. Too bad my timing was off and the bread came out of the oven an hour after we finished eating the soup.